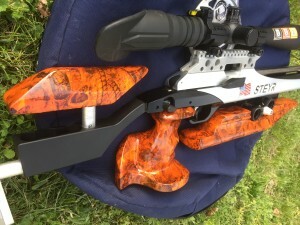 Need a custom stock set for your Steyr or other field target rifle? We may be able to help. Take a look at our work under this tab and let us know if you see something you like. All of the work you see here was performed by Harold Rushton. I have spent several years perfecting my Steyr air rifles for field target use and may be available on a limited basis to help with yours. I have experience converting Steyr LG100 10 meter rifles to WFTF, 12 fpe power levels and know these rifles inside and out. 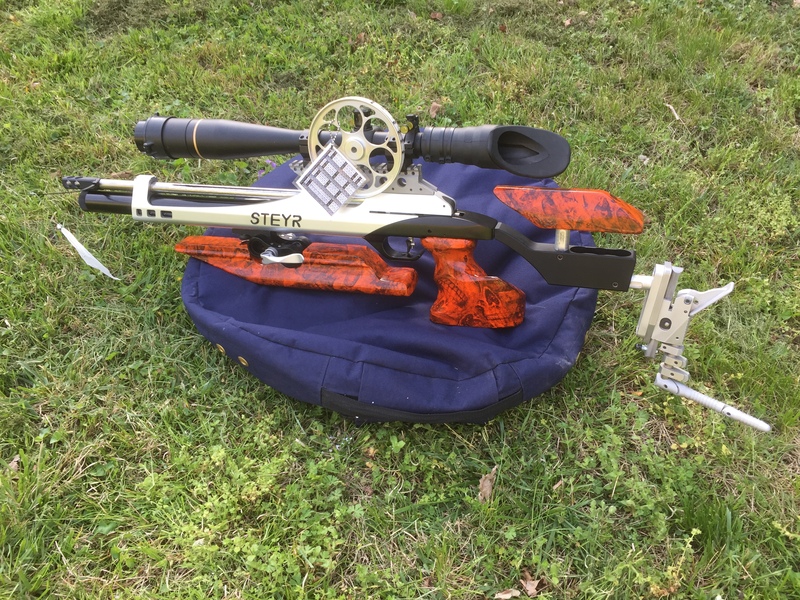 I have also developed custom stock sets for Steyr rifles as well. Take a look at some of my work under this tab for more information. 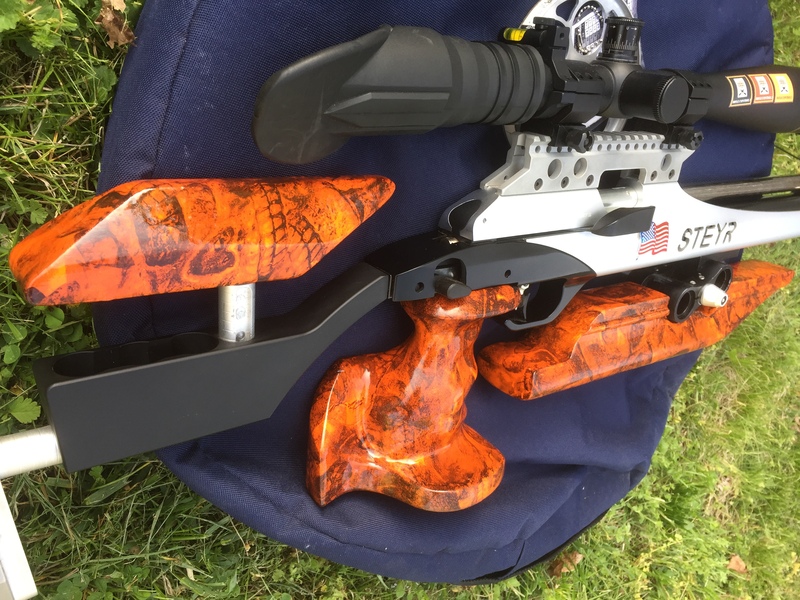 Interested in hydrographics for your custom rifle? All of the hydrograpics on my guns were applied right here in my workshop. Let me know what you need for your next custom project. I may be available to assist. I wish you the best of luck in your field target and airgun endeavors. See you at a match somewhere this season! This is my Steyr LG110. 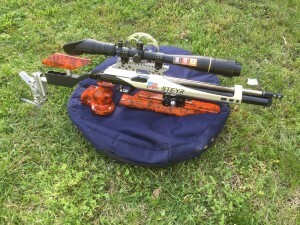 It started life as an LG100 10 meter rifle. I performed a full conversion and have upgraded many parts inside and outside the rifle. The stock set was all made here in my shop, as well as the paint and hydrograpics.